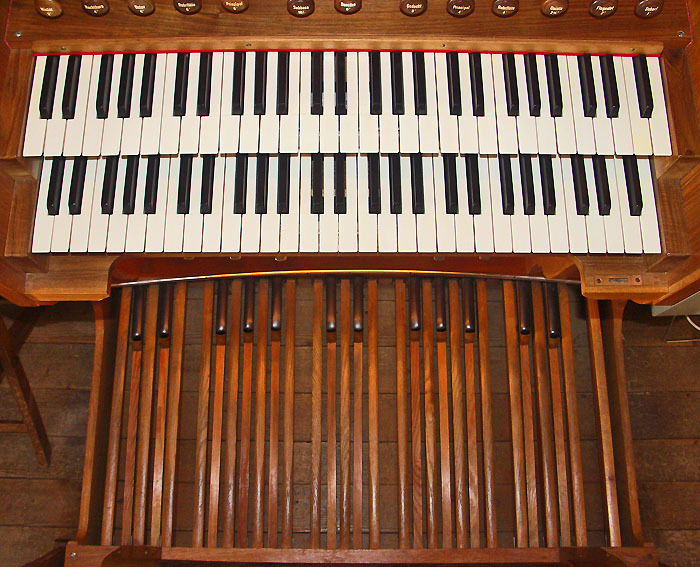 Organ builder Zimmermann built a new organ with 9 stops (picture below). 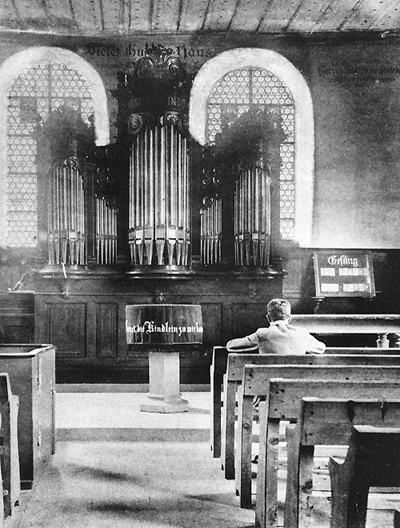 The organ stood at the front of the church. 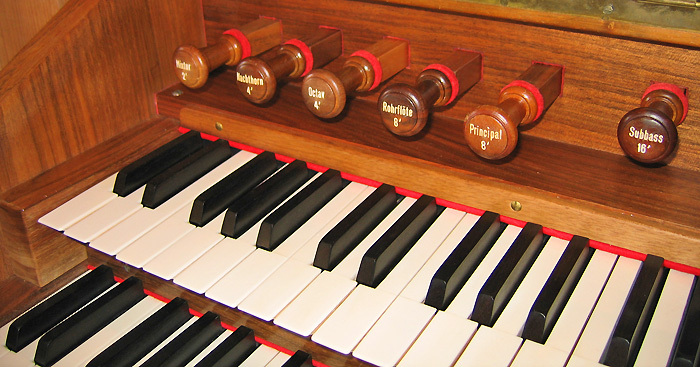 The old instrument was sold to Paris. 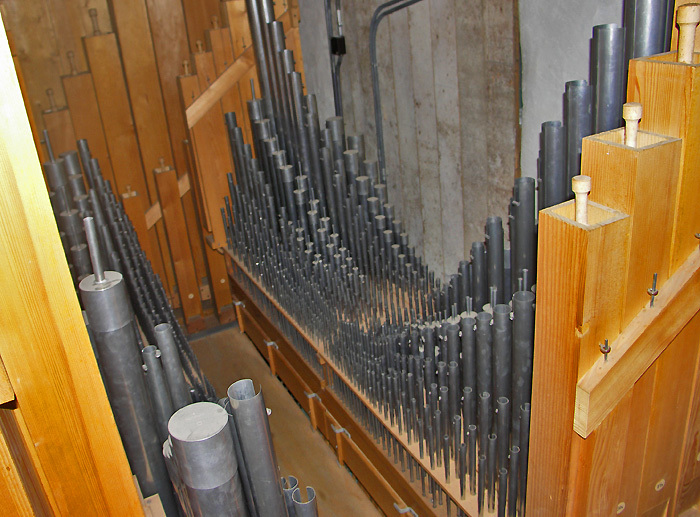 Goll builds a new pneumatic organ with 8 stops. (unfortunately we haven’t found any pictures). 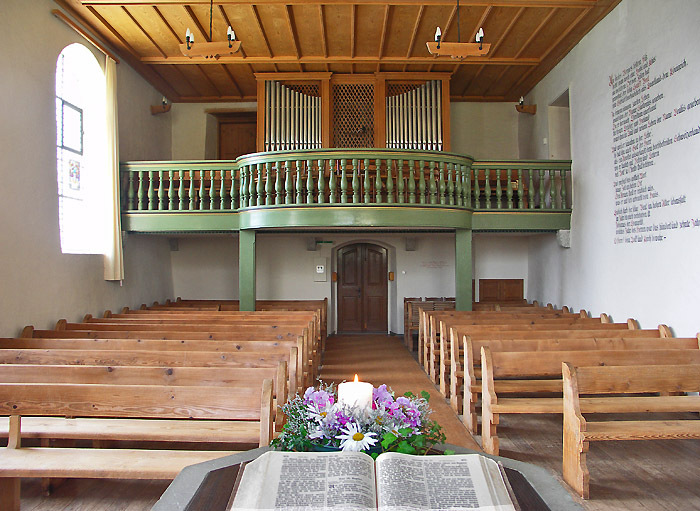 The old organ went to the church in Lyss and later to Döttingen AG. 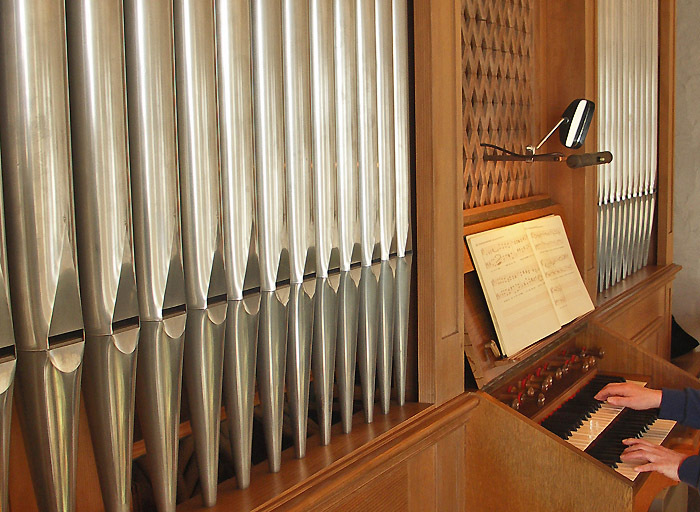 Metzler Dietikon builds the new organ (the present one) with 13 stops. 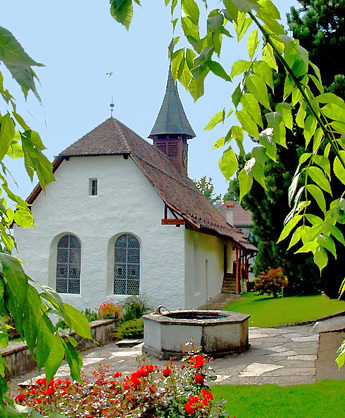 It was financed by interest free credits by parishioners. 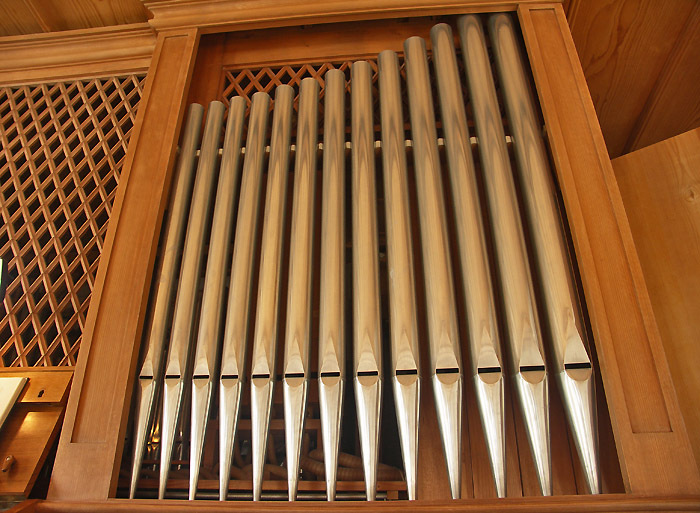 Contains the parts which producestore and deliver wind to the pipes. Therese Jordi explains the stops. 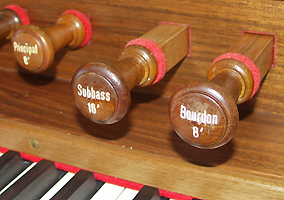 Each of the 13 stops has its own character. 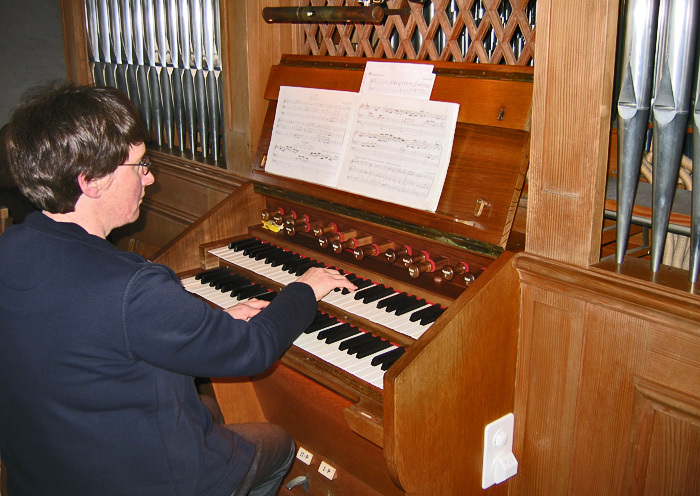 The organist has wonderful possibilities to play very varied. 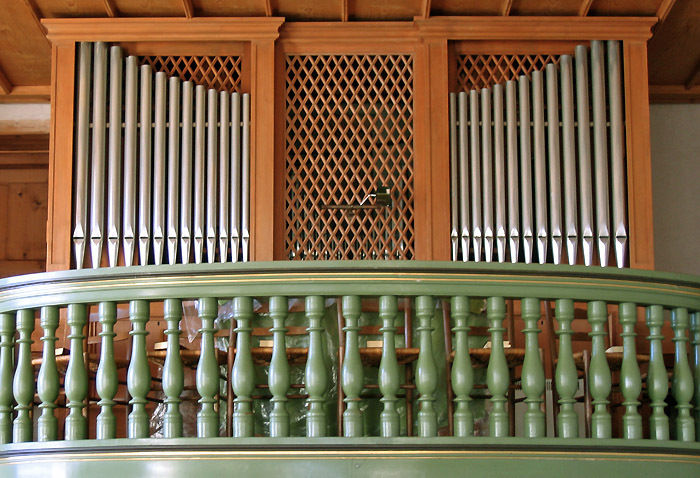 Gedackt (also spelled gedeckt) is the name of a family of stops in pipe organ building. 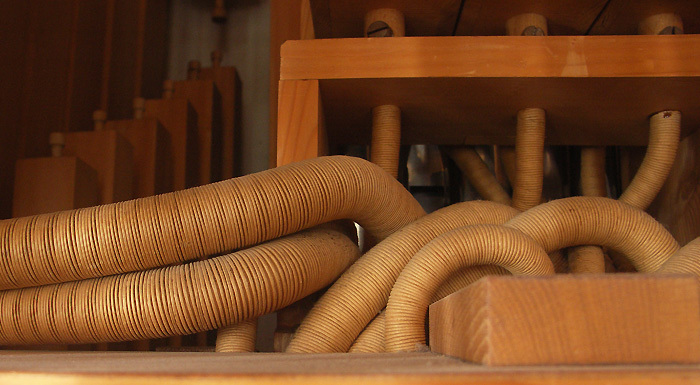 They are one of the most common types of organ flue pipe. 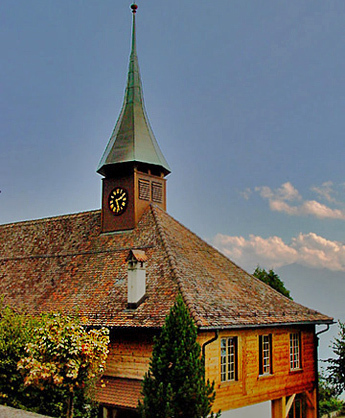 The name is a German word, meaning "capped" or "covered". 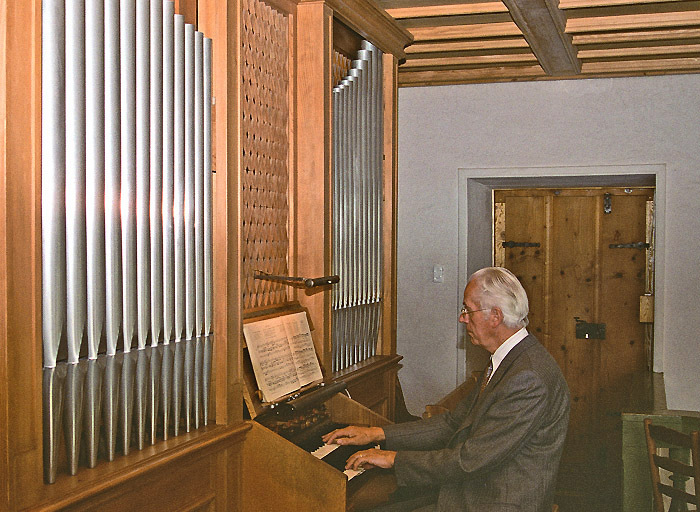 Gedackt pipes can be made of either wood or metal, but in modern organ building, and the majority of historical examples, they are made of wood. 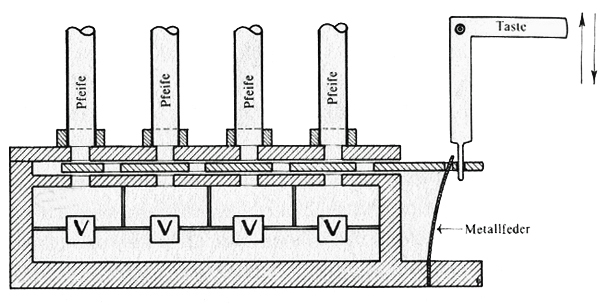 They are occasionally square, but much more commonly rectangular in cross-section, the mouth being on the narrow side of the pipe. 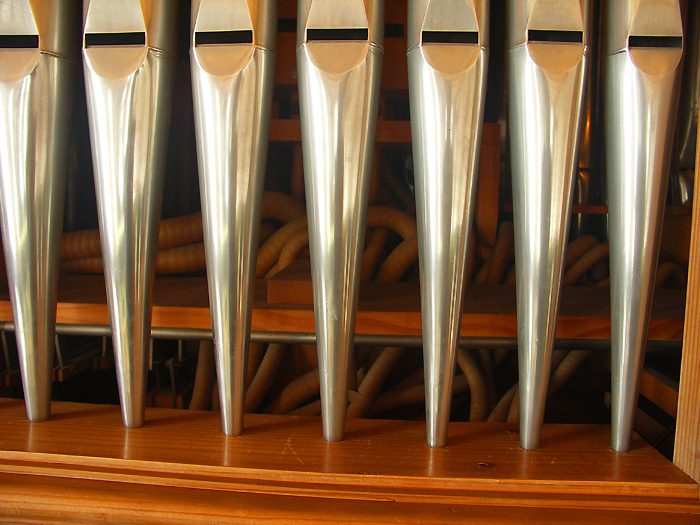 The mouth has a high cut-up (height to width ratio) to produce the fluty tone. 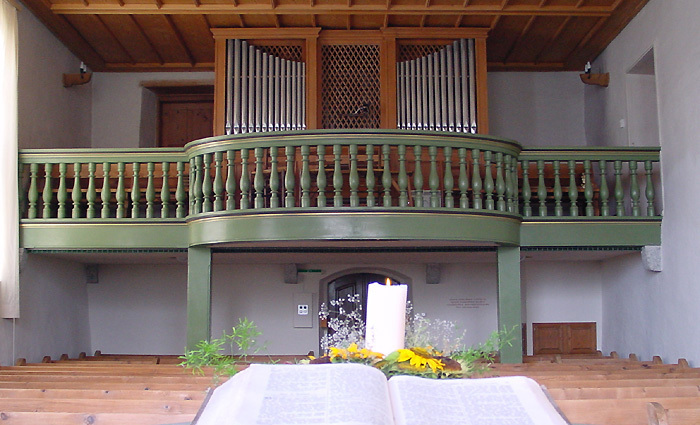 Gedackt is a stopped pipe, as its name implies. 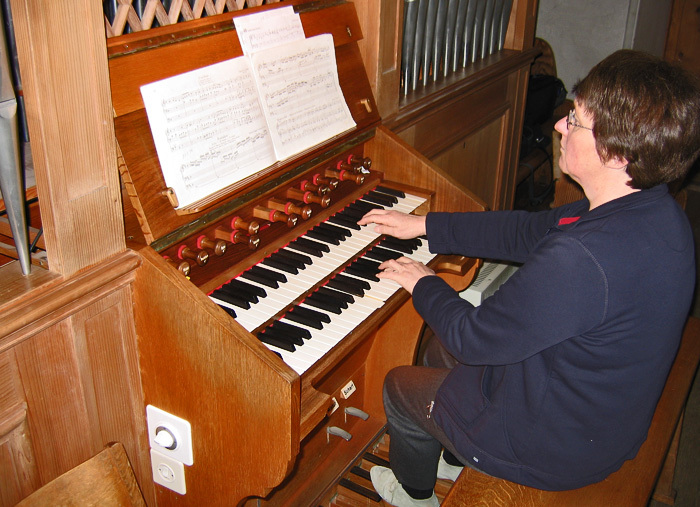 I would like to thank Therese Jordi for their support with building this page. 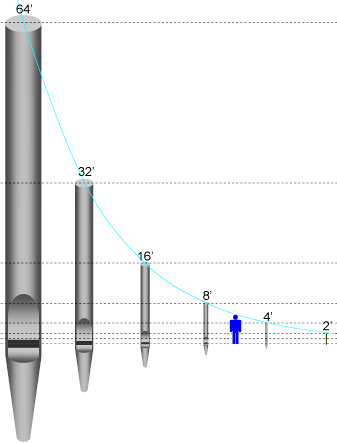 Greti Schwander and Kurt Schmocker for their support with building this page.